As our ‘sponsor a kennel’ scheme has proved very popular with all our greyhound loving supporters, we have launched not one, but, two ‘sponsor a stable’ schemes! 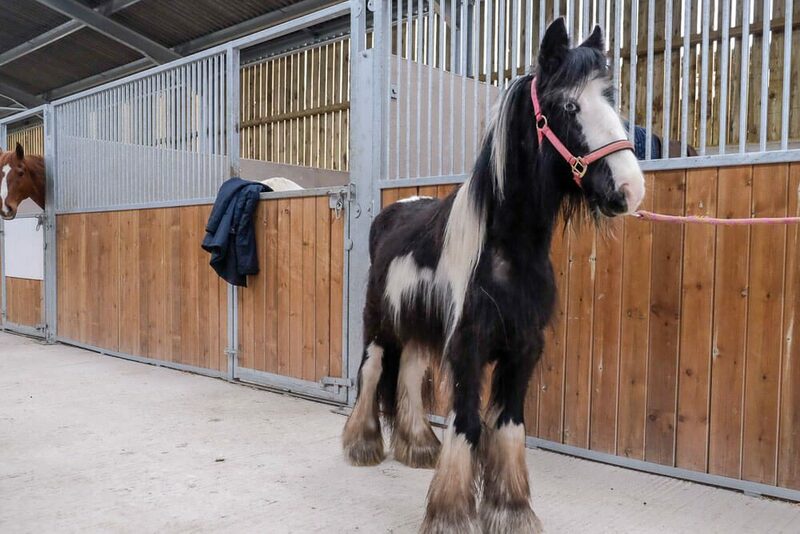 We have a ‘Sponsor a Shire Horse Stable’ scheme for all you heavy horse lovers out there. And a ‘Sponsor a Donkey Stable’ for all you donkey lovers. Now, you might love all of our rescued animals and not be able to make your mind up. Well that’s okay, you could always sponsor one of each! You can sponsor a stable for yourself or as a gift for that person who has everything. The sponsor’s name will be displayed on their stable for a year and they will be sent a certificate of sponsorship. Company sponsorship is welcomed, as is sponsorship in memory of a loved one whether that be a person or an animal. It costs £150 a year to sponsor a stable, or, if you would like to pay by monthly standing order please download the sponsor form here and send to the kennels with your contact details and what name you would like to be shown on your stable, or, if it is for a gift the details of the recipient. If you have any queries please email sponsor@tia-rescue.org and our sponsorship volunteer will be happy to help. Where should the initial pack be sent?